Located on the eastern and a highway 30a, Seacrest Beach, offers a fun laid-back family environment. Offering anything from a quick casual meal to fine dining is one more reason that this modest sized community is one of 30A’s latest hotspots. Protected by some of the highest dunes in South Walton Beach, Seacrest Beach has protection from storms and a high vantage point for watching passing by to dolphins. there is also access to one of the rare South Walton coastal dune lakes, Camp Creek Lake. 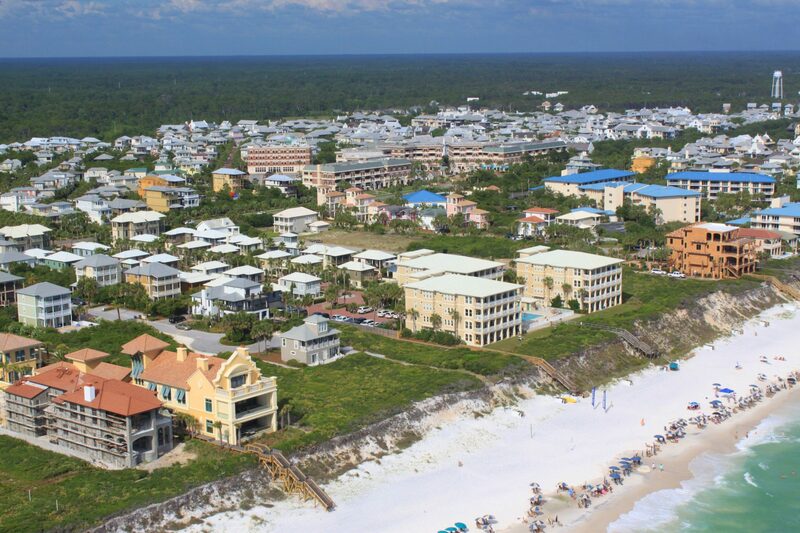 Seacrest Beach has one of the most low density beaches along South Walton’s 30a Highway. Relaxing by the water, soaking up some sun, swimming, kayaking, stand up boarding, fishing, golfing and going for a walk. You can also explore the area by renting a bicycle at Peddlers 30a Bike Rentals. Can you believe that there is excellent birdwatching in Seaside! You can find Monarch butterflies, Mississippi kite, Snowy Plover, Black Skimmer, Bachman’s Sparrow and more on and around Camp Creek Lake.